The black mission fig dates back to biblical times and is considered one of the most exotic fresh fruits. 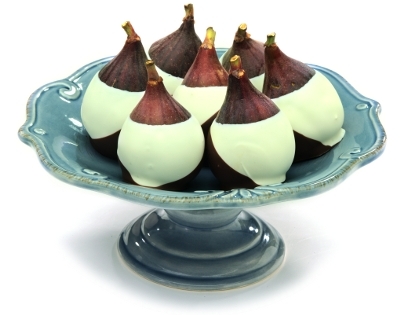 We had dip these beautiful heirloom figs from California in creamy white and dark chocolate coated half of the surface. They look terrific and taste wonderful. Our gift box contains 6 dipped figs.